Holocaust survivors from across the Midwest are in the Chicago area to mark 70 years since the liberation of Nazi death camps. CHICAGO (WLS) -- Holocaust survivors from across the Midwest are in the Chicago area to mark 70 years since the liberation of Nazi death camps. Skokie Valley Agudath Jacob Synagogue hosted a memorial observance Sunday for the estimated six million Jews killed. 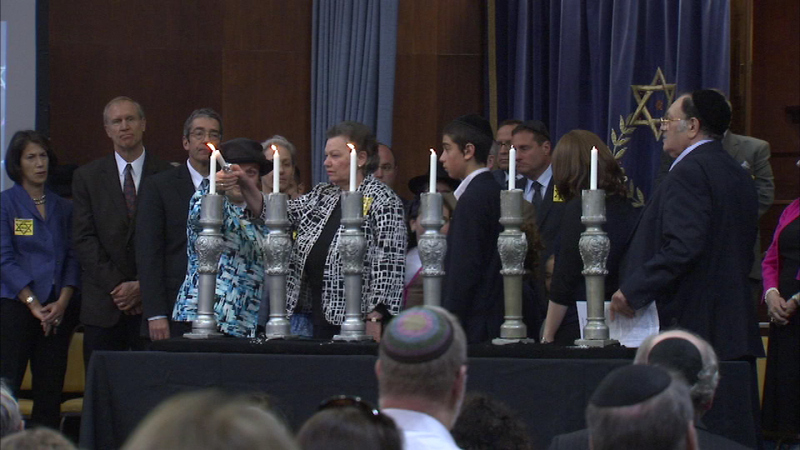 Sunday's ceremony is described as the largest gathering of Holocaust survivors in the Midwest. Governor Bruce Rauner and wife Diana attended the service.